What in The World are Cow Tales? 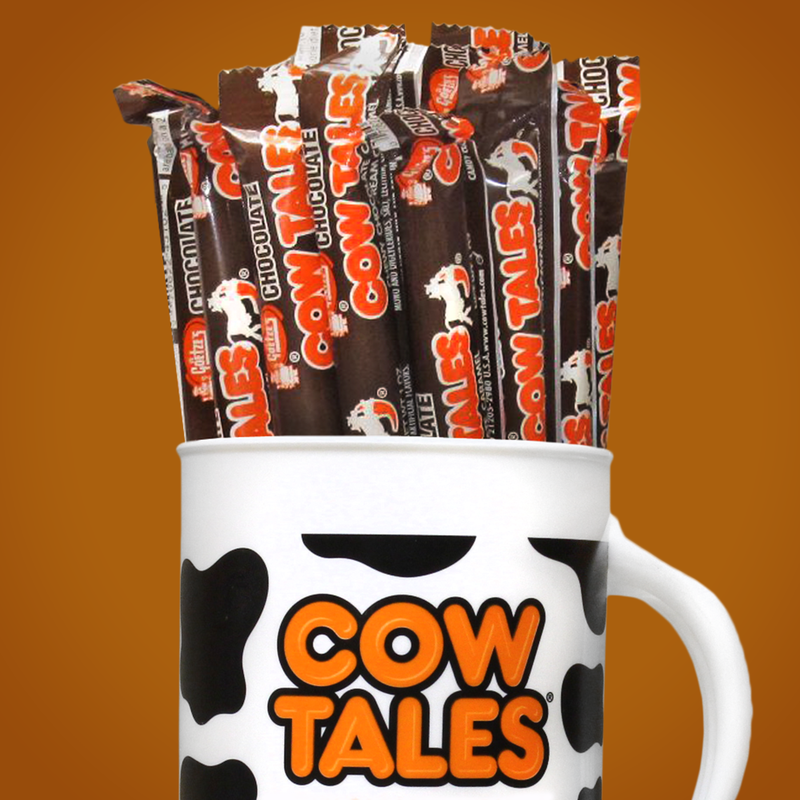 Cow Tales are chewy snack sticks made of caramel and filled with cream. They are not made from actual cows' tails. Caramel Cow Tales® come in original size and Minis. Original size Cow Tales® are available in four kick-awesome flavors: caramel, strawberry, apple, and chocolate. We tried to make Banana Cow Tales® once. It didn't catch on. Should we bring them back? 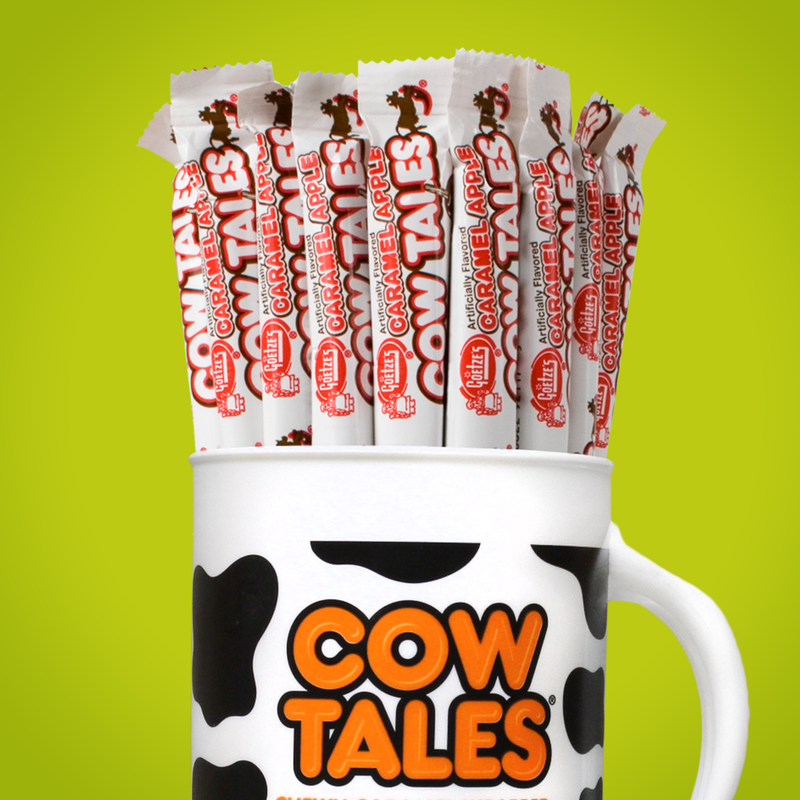 Why Are They Called Cow Tales®? 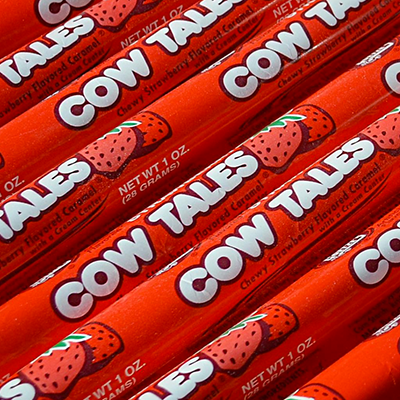 Caramel Cow Tales® are the original flavor introduced by Goetze's Candy Company in 1984. They are made from the same secret family recipe used to make Goetze's Caramel Creams® (a.k.a. "Bulls-Eyes"). Cow Tales® were named in correlation with "Bulls-Eyes," maintaining the cow theme used to promote Goetze's dedication to making caramel with quality ingredients, including real milk. To keep the name from being taken literally, Goetze's used "Tales" instead of "Tails," and added the image of a cow jumping over the moon, an allusion to the "Hey Diddle Diddle" nursery rhyme. Goetze's original chewy caramel filled with vanilla cream. Chewy, chocolate candy filled with vanilla cream. Chewy, strawberry candy with a vanilla cream center. Goetze's original, chewy caramel filled with tart, apple cream. 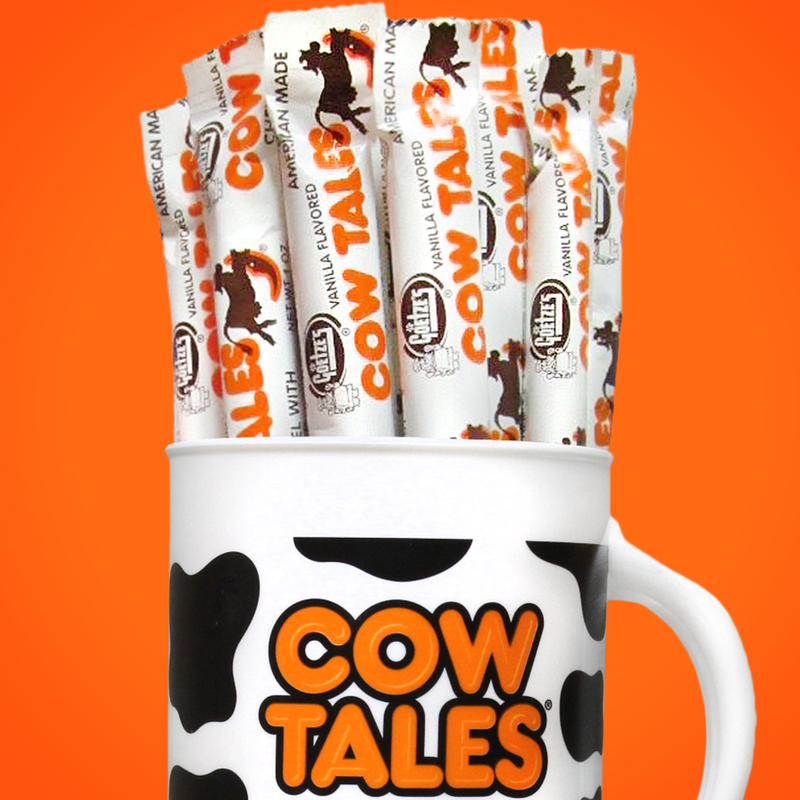 Cow Tales® fans have all the best Cow Tales® stuff! Order shirts, hats, and more from Goetze's Candy Company's online store!